The semi-portal structure lends the machine a reduced floor space need as well as an optimal access. The Direct Drive technology allows to achieve supreme quality surface finishing in 5-axes continuous machining. The GM-M series includes two vertical high speed semi-portal machining centers, having two linear axes moving the tool and one moving the table, suitable for the precision machining of complex small sized components. 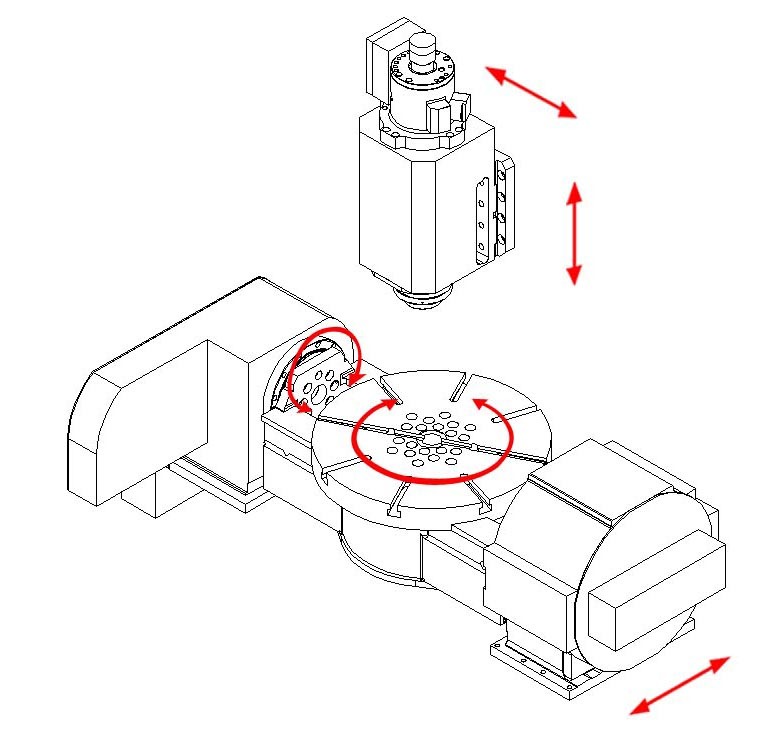 The M110 machine is a 3-axes machining center. The GM85 machine, besides the standard 3-axes, is also equipped with a two-axes rotary-tilting table, with direct-drive torque motors that enhance performances and surface finishing in continuous 5-axes machining. For all configurations and according to the different models features, a wide range of electrospindles is available, to meet the demands of the most advanced machining technologies for revolutions number, torques and powers.